I LOVE this quote. As I am venturing to stick a toe into genealogy/family history this is perfect. I want to feel their love, support, and encouragement. That should be fascinating — and keep you busy! Have you read any of Linda Hogan’s books? Well worth it!! I haven’t, but I’ll make sure I do. Thanks! 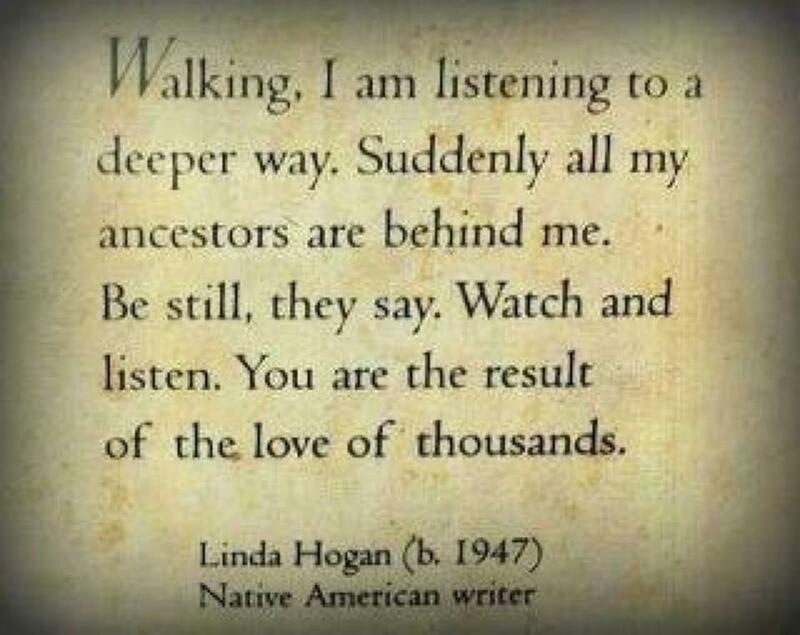 This is a sublimely reassuring note to ones inner wisdom, therein I’m truly hearted by reading this post, a very big thank you for sharing this wisdom, we really do follow in the foot steps of giants aka Linda Hogan and Judy Smith et al. Linda Hogan, yes. Judy Smith, no. Thank you for your comment, though, Barry.